Cut your vegetables in different shapes to creat different shaped curled peelings. 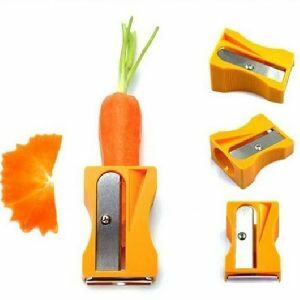 This Carrot slicer looks like a giant pencil sharpener. This fantastic tool is a must life kitchen tool for girls. Wash and dry throughly after use to prevent rust on blades.